Thank you for such a wonderful portrait session! I'm thrilled that you have decided to make an album. These memories and photos endure best on paper and in these books, where they can be seen and cherished, and most importantly, shared. There are two types of albums: the signature Layflat Heirloom Album and the hardcover Photo Book. The Layflat Heirloom Album is 12x12, includes 30 pages (more pages can always be added) and can be ordered in linen or leather. Also available only when you order this album is a 6 X 6 mini version; perfect for gifts! Two collections are available that include a little discount when you purchase more than one album. They make fantastic gifts, so if you are looking to purchase one large 12x12 Layflat Heirloom Album and two 6x6 Mini Layflat Heirloom Albums OR one 10x10 Photo Book for yourselves and two to give as gifts, the first two collection options are for you! with your choice of cover (linen or leather) and color. Cover debossing and additional pages may be added. 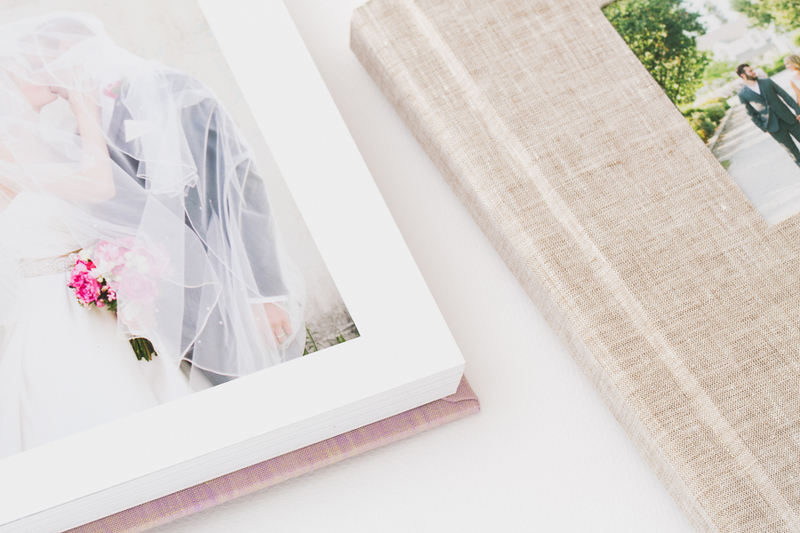 Our linen hardcover Photo Book includes 40 pages on matte paper, with your choice of cover color. Cover debossing and additional pages may be added. available to purchase when you purchase a 12x12 Heirloom Album. Awesome for parent gifts! Includes 30 thick pages on matte paper, with your choice of cover (linen or leather) and color. Additional pages may be added.